It had not even been a month since the launch of the Pulsar RS 200 and Bajaj Auto Ltd. is already readying itself to launch another new Pulsar model! Expected to be the new Pulsar 200 AS, the new bike will find itself positioned just below the new RS 200 and will become the third model in the new generation Pulsar line up. Bajaj Pulsar 200 AS launch, in most likelihood, will take place on 14th this month and it is being expected that the launch of the new bike will be closely followed by the new Pulsar 150 AS! The Bajaj Pulsar 200 AS has already reached several BAL dealers across the country, which means deliveries will being immediately after the launch. The new Bajaj Pulsar 200 AS will be slotted between the RS 200 and the 200NS and hence, could have a sticker price of around INR 1.05 lacs. The 200 AS looks a lot like the 200NS, with the biggest (and probably the only change) being the addition of a quarter front fairing that looks much like the one on the Discover 150F. This fairing holds a projector headlamp and makes the bike look a lot more matured than its nakedstreet version. Other than the fairing, all other parts, such as the seat, swingarm, fuel tank, side panels, etc seem to be the same as those on the Pulsar 200NS. Even in performance terms, the 200 AS shouldn’t be too different from the 200NS and isn’t likely to get the fuel injection unit from the RS 200. Maximum power for the 200 AS would be in tune of 23.5 PS with a possible peak torque of around 18.5 Nm. 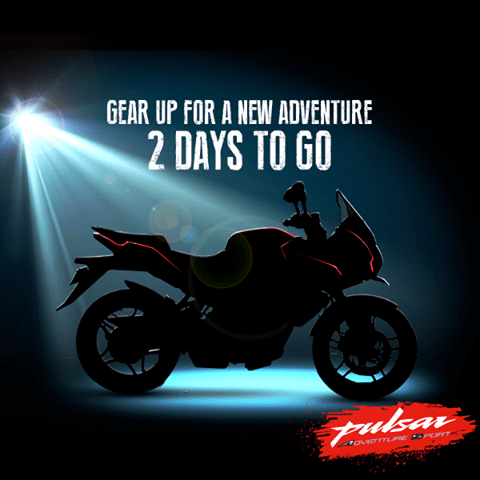 Stay tuned to AutoColumn for more details on the Bajaj Pulsar 200 AS launch.